Categories: Adoption Parenting, Attachment Disorder, Attachment Therapy, General Parenting, Psychotherapy, Teen/Older Children, The Adoption Professional. All children need love, but for troubled children, a loving home is not always enough. Children who have experienced trauma need to be parented in a special way that helps them feel safe and secure, builds attachments and allows them to heal. Playfulness, acceptance, curiosity and empathy (PACE) are four valuable elements of parenting that, combined with love, can help children to feel confident and secure. This book shows why these elements are so important to a child’s development, and demonstrates to parents and carers how they can incorporate them into their day-to-day parenting. Real life examples and typical dialogues between parents and children illustrate how this can be done in everyday life, and simple stories highlight the ideas behind each element of PACE. 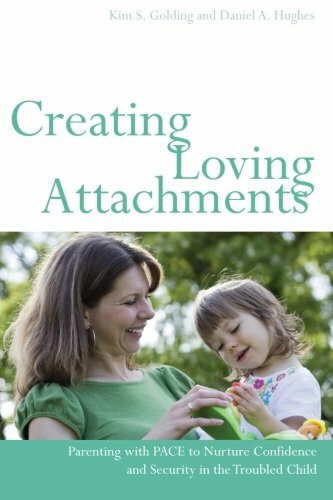 This positive book will help parents and carers understand how parenting with love and PACE is invaluable to a child’s development, and will guide them through using this parenting attitude to help their child feel happy, confident and secure.